Salinda Resort is set in a fantasy land of tropical gardens and shades of blue. From the sea to the sky, the resort is enclosed in every tone of aqua and indigo imaginable—a true island paradise with every luxury at beck and call. Despite the spaciousness of the grounds, which are filled with greenery, winding waterways and world-class restaurants, Salinda Resort has the spirit of a boutique hotel. Guests staying in the 121 deluxe rooms, suites and villas are treated to personalised service touches such as nightly gifts at turn-down, spa treatments geared to harmonise with each guest’s water, fire, earth or water element, and on-call assistance to help you find the best places on the island to explore. On the west side of the island, the centrally located Salinda Resort is an easy 10-minute drive in the resort’s private shuttle from Phu Quoc International Airport. Other attractions, such as the new cable car in the south, Ham Ninh fishing village to the east, and the VinPearl amusement park and safari in the north, are also just a short distance from the resort. Salinda offers taxi packages upon request for multiple destinations. Salinda will provide a customised map to island attractions for all those explorers out there upon request. Kayaking lessons and other water sports can also be arranged upon request. On the back of the map, there is a guide to the resort. The fact that the majority of the image is green says a lot about what you can expect at Salinda Resort: 98 species of indigenous flora are featured in the Salinda gardens including the perfumed petals of jasmine, frangipani, orchid and lily, which give the entire resort its enticing fragrance. Most of these plants can be found in Mango Garden near Salinda Spa, where there is also a seating area tucked away within the greenery for those who are looking for a meditative space. Deluxe rooms come with the choice of garden, hill or sea view. The sea view can be upgraded to premium deluxe for those looking for a bit more luxury. 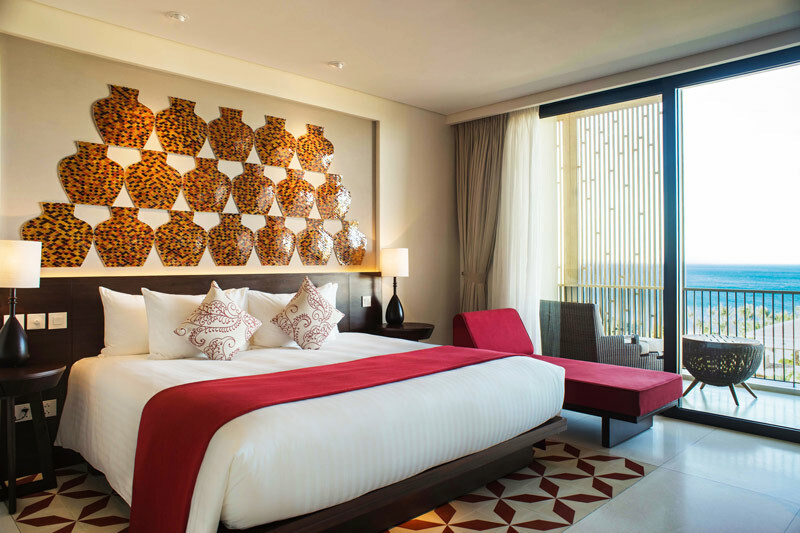 The rooms are designed with an emphasis on natural materials and luxurious details. The beauty of Vietnam is showcased through stunning artwork and lighting that reveals tropical gardens or traditional Vietnamese pottery. Every room comes complete with luxury bathroom amenities, a fully-stocked minibar, an iPod docking station, a 40-inch LCD smart television and a private balcony. The King or Double beds, dressed in cloud-soft linens, have a pillow menu that can be customised to each guest’s comfort. Premium rooms have a Nespresso machine with complimentary capsules as well as TWG luxury tea. Suites and Villas are ideal for those looking for extra space and privacy. These gorgeous room categories offer everything listed in the Deluxe rooms, with the addition of marble bathrooms with dipping tubs and rain showers, and separated living and dining areas. 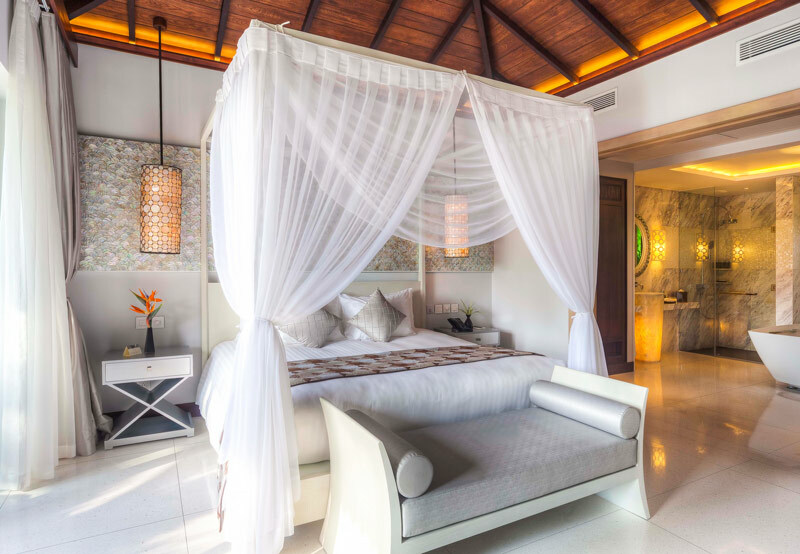 Suites have views of the sparkling sea or Salinda Resort’s tropical gardens. 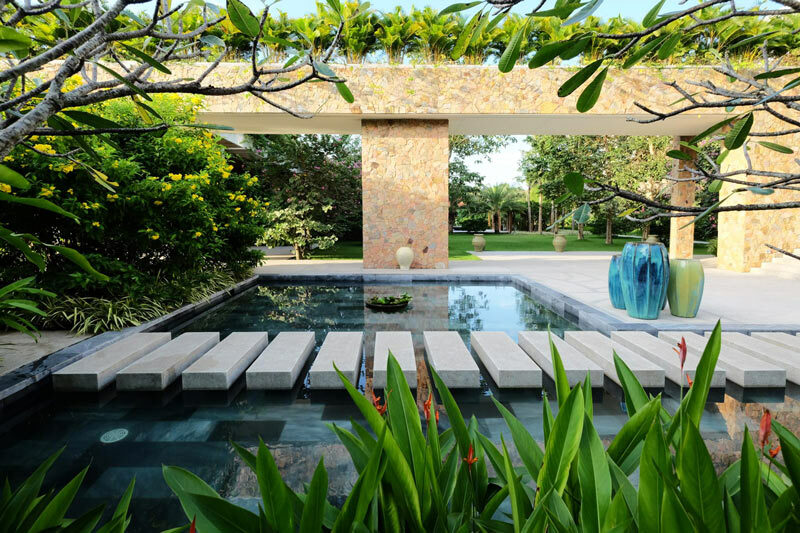 Villas are stand-alone properties with private terraces nestled into the greenery of mango trees and jasmine flowers. Premium turn-down gifts are included in every room as well as a daily bowl of fresh fruit. Salinda Resort’s suites and villas are the ideal locations for watching the sunset in utter tranquillity. English speaking staff is available to assist you throughout Salinda Resort, from a seamless and personalised check-in experience to excellent service at all the restaurants, to smiling cleaning staff. With only 121 luxury rooms, suites and villas in the resort, Salinda creates a boutique feel with its attentive and friendly staff. 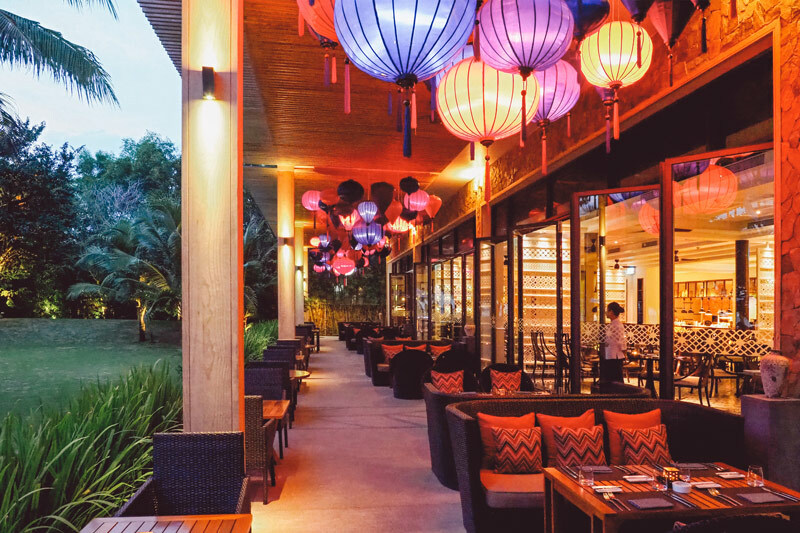 Salinda Restaurant entices guests with the beauty of its Hoi An lanterns on the outside terrace, and the scents of grilled meats and fresh seafood. 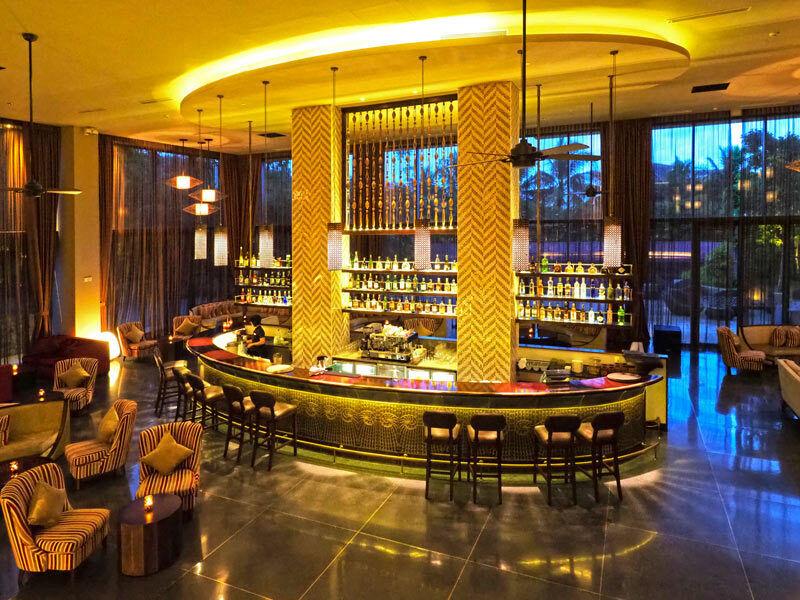 The restaurant showcases sophisticated specialities from Vietnam and specifically Phu Quoc Island, such as Phu Quoc pepper and fish sauce and seasonal herbs and ingredients. The show kitchen will wow guests with the skill and speed of the top chefs in the restaurant as Executive Chef Long creates magic with his recipes. Salinda Restaurant is also home to the resort’s spectacular breakfast spread complete with sparkling wine. It definitely should not be missed! Casa Italiana restaurant brings the comforting pleasures of Italian food to Phu Quoc Island with Chef Tobia’s dedication to recipes from his homeland. 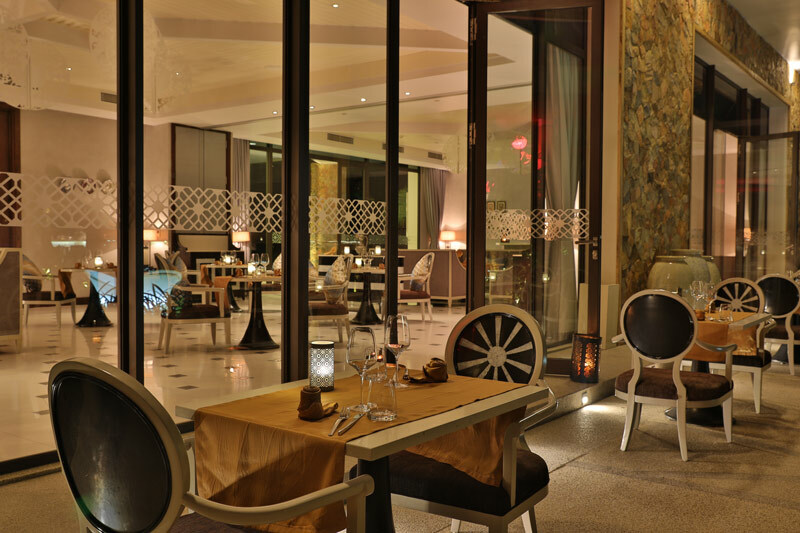 The elegant restaurant is ideal for a romantic evening amid candlelight and the warm colour scheme. Hand-painted Italian murals on the walls are sure to delight guests of all ages. Chef Lilahar is the Executive Chef at this world-class restaurant, which will surprise your senses with its fine dining take on the rich spices and flavours of India’s New Delhi. The excellence of the cuisine, as well as the modern and elegant jewel-toned decor, make this a perfect choice for a special evening during your vacation. Whether or not you are a guest of Salinda Resort, it is worth a trip to any of these three culinary jewels, which are known as some of the finest restaurants on all of Phu Quoc Island. Enjoy a cold smoothie, healthy salad or hearty main course while lounging by the pool. Cyan By The Pool is Salinda Resort’s answer to those guests who love to sip on a cocktail without pausing from their swim. This pool bar is the ideal spot for enjoying Phu Quoc Island’s finest sunsets while satiating your needs for well-prepared sustenance. We recommend the Puy lentil salad with goat’s cheese and beetroot for those looking for a light option or the Salinda House signature burger for heartier appetites. The High Note Bar and Lounge is the perfect place to stop in for an evening of expertly crafted cocktails, lounge music, and movie and music nights. Try one of the signature music-inspired cocktails such as the “Pandan Punk”, which is an aromatic concoction of pandan leaf infused vodka, blue curacao, triple sec, grenadine and passion fruit and lime juices. For those looking for something more sweet than tart, try out the “Coco Reggae”, which features Jamaican rum, creamy coconut, and banana and lychee notes. Salinda Spa, managed by Guru Spa Thailand, follows Thai philosophies to balance the body. Each guest is invited to find his or her element—earth, water, fire, wind—based on birth month, and then the skilled therapist will suggest a treatment plan to relax and find inner balance. After a personalised welcome drink, guests can use the complimentary steam rooms and saunas in the three singles rooms or four couples rooms, which are tucked into this haven of rest and rejuvenation. The spa decor is luxurious, atmospheric and serene. The harmony created between wooden design elements and water features enhances the guest’s sense of well-being. Salinda Spa is the only truly Thai spa on Phu Quoc Island, making it a real treat for both Salinda guests and those staying at other resorts who would like to book a treatment. Salinda Resort has a host of just-for-kids extras to make those mini-guests feel extra special. The Kid’s Club is stocked full of entertaining activities like art pieces made with sand, paintings, books, games and age-appropriate movies. Babysitting services are available upon request (and for an hourly fee). Little ones are also gifted Salinda’s signature Phu Quoc stuffed animals during their stay so that they have a special souvenir to take home that’s just for them. Salinda Resort is the ideal location for your next meeting or incentive trip for your company. Packages including accommodation, breakfast, meeting rooms fully stocked with snacks and audio-visual equipment, and discounts on F&B and spa treatments. Salinda Resort has an impressive array of eco-friendly initiatives in place that are dedicated to keeping Phu Quoc and Vietnam beautiful. A few of their environmental measures include using only bamboo or stainless steel straws in all drinks; ceramic bottles replace plastic for bath products; biodegradable pens, fabricated by a centre for the sight-impaired, have hummingbird tree seeds in the caps that guests can plant when they return home; and beach clean-ups that are organised in the neighbourhood monthly. Salinda has racked up its fair share of awards in the four years that the beach resort has been open. In 2019, Salinda Resort ranked in the “Top 5 Luxury Hotels in Vietnam” by TripAdvisor. In 2018, the resort took home “Best Luxury Boutique Resort” at the World Luxury Hotel Awards, “Southeast Asia’s Best Relaxation Retreat” at the Boutique Hotel Awards, and “Best Luxury Beachfront Hotel of the Year” at LTG Asia & Australia among others. 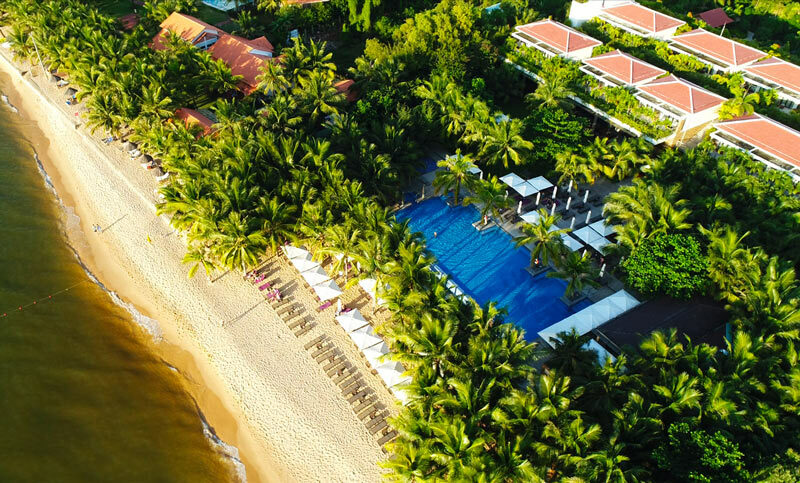 Salinda Resort Phu Quoc Island’s dedication to personalised boutique service touches, luxury amenities, eco-friendly initiatives and a zen ambience have created a truly special beachfront property that stands out from the pack on Phu Quoc Island.